Personalised Mum Wallet Card. Mother's Day Gift and Memory Keepsake. Engraved Special Gift Card for Birthday or Christmas Gift/Present. 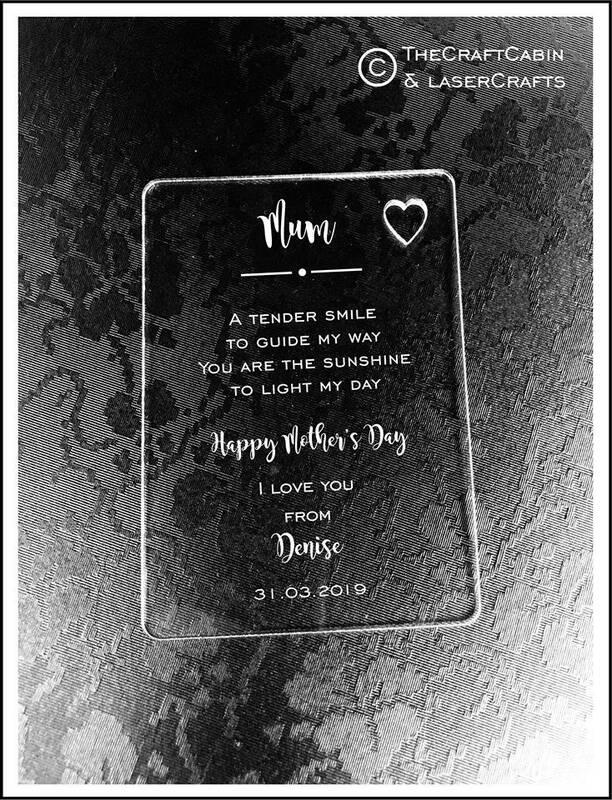 Beautiful Mum Gift, cut & engraved on high quality Acrylic. Personalised Wallet Card. · Approx size 64mm x 90mm. Gift Box & tissue wrapped. · Personalised to Dad. Any name and date. · Laser Cut & Engraved From High Quality Clear 2mm Acrylic. ✦ Please leave own name and a date to be added. Production timescale can vary, at certain times of the year, we will proceed to production and ship with 5-7 business days.